hd00:09NYC, USA - AUG 22, 2014: Bertelsmann Building (1540 Broadway) with illuminated advertising at Broadway in the night time. 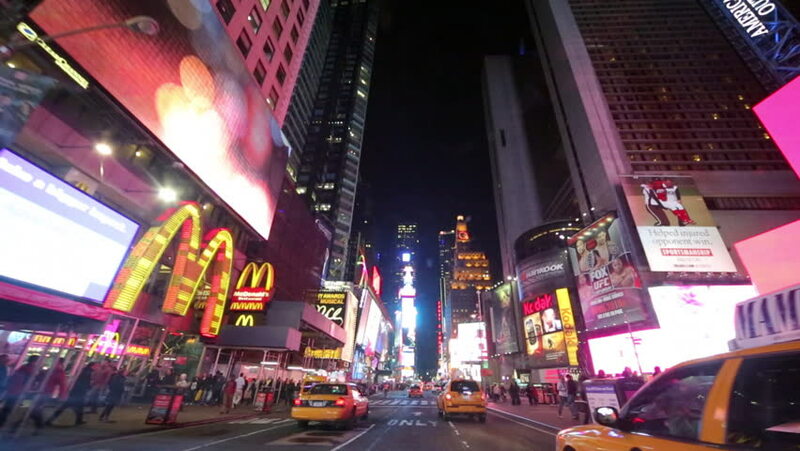 4k00:25NEW YORK, JULY 2014: A late night crowd mingles in Times Square. 4k00:19NEW YORK CITY, USA - OCT 30, 2018: Busy 42nd street view at night in Midtown Manhattan with pedestrian and traffic.